*Authorized UltraCraft Cabinetry Dealer* For over 22 years R & K Cabinets has been serving the Greater Boson area, specializing in quality custom kitchen cabinetry. We are a family owned & operated business and customer satisfaction is our #1 priority. We create custom or semi-custom cabinets to match your style, shape, wood and finish. We offer personalized consultations, premier selections, expert installation and high quality craftsmanship. Come visit our 2 showrooms in Plymouth & Norfolk to see a large selection of styles and materials. Request your free initial consultation. We look forward to creating your dream kitchen! KR+H designs and fabricates custom cabinets, including custom kitchens, architectural millwork, and furniture. Our shop also builds projects designed by other professionals. Our process is thoroughly collaborative. It is also comprehensive, extending from discussion and discovery, through design, production, finishing, and installation. Whatever the project, we take pride in intelligent, well-crafted work and highly responsive customer service. RCC is a custom cabinetry shop focused on the high end residential and commercial markets. We have a full range of capabilities to build and finish multiple projects as well as produce custom moldings. 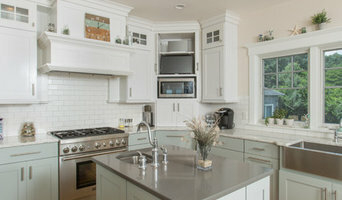 In addition, Easton, MA cabinetry pros can help you give worn or dated cabinets a makeover. They can replace doors; add glass inserts, decorative moldings and other details; or give cabinetry a new coat of paint or specialty finish. Your cabinetry professional might work closely with a Massachusetts kitchen designer, builder, remodeling contractor or interior designer. Here are some related professionals and vendors to complement the work of cabinets & cabinetry: Kitchen & Bath Designers, Kitchen & Bath Remodelers, Interior Designers & Decorators, Closet Designers and Professional Organizers, Woodworkers & Carpenters. Find a cabinetry professional on Houzz. 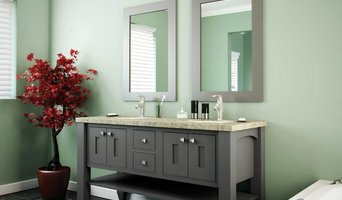 Narrow your search in the Professionals section of the website to Easton, MA cabinets and cabinetry. You may also look through Massachusetts photos to find examples of cabinets that you like, then contact the cabinetry professional who worked on them.